The Pittsburgh Steelers, winners of the previous two Super Bowls, were sporting a 4-1 record as they hosted the Cincinnati Bengals on October 12, 1980. But while the Bengals were 1-4, that win had come against the Steelers three weeks earlier. Still, Pittsburgh had won 18 straight home games and ten in a row over the Bengals at Three Rivers Stadium. Head Coach Chuck Noll’s Steelers were winning games, but both of their regular wide receivers, Lynn Swann and John Stallworth, were sidelined by injuries. Cincinnati, under new Head Coach Forrest Gregg, was showing improvement on defense, where they had shifted to a 3-4 alignment, but were having difficulty putting points on the board. Moreover, the Bengals were 13.5-point underdogs even though they had beaten the Steelers in the prior meeting. There were 53,668 fans in attendance at Three Rivers Stadium on an overcast afternoon. The tone was set early for the Steelers when QB Terry Bradshaw fumbled the first two snaps from center in a three-and-out possession. Pittsburgh was going with two tight ends and one wide receiver in an effort to better run the ball against Cincinnati with the injury-depleted receiver corps. The Bengals also punted after a short series. Pittsburgh still couldn’t move the ball (they abandoned the two tight end alignment) but, forced to abort a punt, Craig Colquitt ran 17 yards for a first down although he injured his left foot in doing so and was done for the afternoon. Four plays later, the Steelers again had to punt and Bradshaw, who took over that chore for the remainder of the game, booted it 33 yards. As Colquitt also was the holder on placekicks, backup QB Cliff Stoudt took over that responsibility for the remainder of the contest as well. On Cincinnati’s second play of the ensuing series, RB Charles Alexander took off for a 37-yard gain to the Pittsburgh 29. Facing a third-and-13 situation a few plays later, QB Ken Anderson (pictured at top) connected with TE Dan Ross for 15 yards. Another Anderson completion, this time to TE M.L. Harris, gained 15 yards and set up Alexander’s one-yard scoring carry. The nine-play series covered 66 yards and Ian Sunter added the extra point for the 7-0 lead. On the third play of Pittsburgh’s next series, Bradshaw was intercepted by LB Glenn Cameron and that set up another score for the visitors. Sunter booted a 24-yard field goal that caromed off an upright, but the ball still managed to go over the crossbar. The Bengals took a 10-0 lead into the second quarter. The Steelers moved into Cincinnati territory on a possession that was highlighted by a Bradshaw pass to WR Jim Smith that covered 22 yards. The series bogged down at the 27 but the Steelers had less luck in the placekicking department when Bahr tried for a field goal from 47 yards that hit the left upright and fell back onto the field. The teams traded punts until the Bengals mounted a five-play, 36-yard scoring drive following a short 24-yard Bradshaw punt. Anderson threw to FB Pete Johnson (pictured at left), who left LB Jack Ham sprawling as he caught the ball in the middle of the field and went the distance for a 28-yard touchdown. The visitors took a 17-0 lead into halftime. The Steelers finally came alive in the third quarter on both sides of the ball. 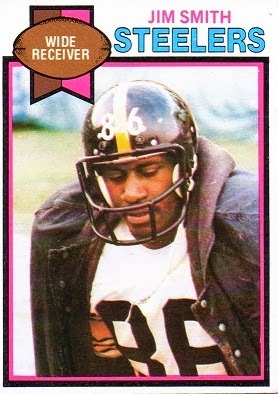 On the opening series, CB Mel Blount intercepted an Anderson pass. With the help of a Bradshaw throw to WR Calvin Sweeney, it led to a one-yard touchdown carry by FB Russell Davis. However, Bahr’s try for the extra point was blocked by backup NT Mike White to keep the score at 17-6. On their next possession, following a short series by the Bengals, the Steelers went 55 yards in six plays for another score. Bradshaw threw to Sweeney for 19 yards on a third-and-six play and then to Jim Smith for a 13-yard TD. This time Bahr successfully added the PAT and Cincinnati’s lead was narrowed to 17-13. Once again the visitors couldn’t move on offense and punted. Again the Steelers came away with points as Bahr kicked a 35-yard field goal. The Steelers had scored 16 points in less than ten minutes to make it a one-point contest. The Bengals finally put together a sustained drive to finish out the period, methodically moving into Pittsburgh territory, but on the second play of the fourth quarter Sunter missed a 52-yard field goal try. The Steelers finally cooled off on offense and had to punt, and Cincinnati once more drove into Pittsburgh territory. Jack Thompson came in at quarterback in place of the injured Anderson. However, Sunter again failed on a field goal attempt, this time from 38 yards. The teams traded punts and, with less than two minutes remaining, the Steelers were down to their last chance and pinned back at their two yard line. Bradshaw threw to TE Randy Grossman for 26 yards and, after two incomplete passes, ran for 13 yards in a third-and-ten situation. RB Sidney Thornton carried for 13 yards and, three plays later, Bradshaw again connected with Grossman in a third down situation, gaining 22 yards to the Cincinnati 24. The clock was down to 17 seconds and the Steelers were at the Cincinnati 24. Following an incomplete pass, and rather than going to the air again, they gave the ball to Thornton, who picked up two yards before fumbling, although OT Larry Brown recovered to save a potential turnover. With four seconds remaining, Bahr attempted a 39-yard field goal that hooked badly to the left and was unsuccessful. By a margin of 17-16, the Bengals had hung on to sweep the season series with their division rival. The Steelers had more total yards (331 to 304) but Cincinnati led in first downs (17 to 15). Pittsburgh also turned the ball over twice, to one suffered by the Bengals, and Bradshaw was sacked four times, as opposed to one sack registered by the Steelers. 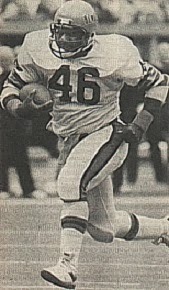 In addition, the first quarter injury to Craig Colquitt caused problems with both the punting game (Bradshaw averaged 34.6 yards per kick) and placekicking as Matt Bahr missed two field goals and an extra point with an unfamiliar holder (although Cincinnati’s Sunter nearly derailed his team’s chances with two misses in three field goal tries). 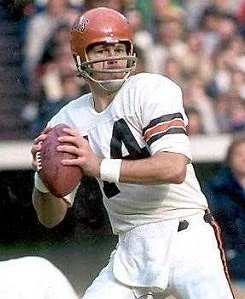 Ken Anderson completed 17 of 32 passes for 179 yards and a touchdown with one interception. Charles Alexander ran for 72 yards on 12 carries that included a TD. WR Don Bass caught 5 passes for 58 yards. For the Steelers, Terry Bradshaw was successful on just 14 of 35 throws for 237 yards with a TD and an interception. Jim Smith pulled in 5 passes for 98 yards and a score. RB Franco Harris topped the rushers with 47 yards on 13 carries and Sidney Thornton was right behind with his 41 yards on 8 attempts. The Steelers remained tied atop the AFC Central with that 4-2 record since Houston also lost. However, they dropped their next two games and ended up at 9-7, which placed them third in the AFC Central and out of the postseason for the first time in nine years. Complacency and injuries were viewed as the keys to Pittsburgh’s fall from the top. Cincinnati, meanwhile, won again the next week but then dropped five straight on the way to a 6-10 record and last place finish in the division. However, the groundwork was laid for significant improvement in 1981.